The Word Count Blogathon 2013 finally comes to a close after tomorrow. All participants were tasked with blogging every day through the month of June and I’m pleased to report that, despite a family trip, crazy work deadlines, and even a series of international flights with a LOT of missed connections, I made it! As part of this event, I also participated in several “theme days,” including a discussion of my 5 favorite apps, adding video clips, and a guest post exchange. The final day tomorrow is also a theme day, which celebrates word clouds. But more about that tomorrow. First created back in 1817, this Fort Smith site is the final resting spot for many local historical figures, including those who fought in most of the country’s wars. But the biggest impact comes from the rows upon rows of tombstones of soldiers who died during the Civil War. The site was first used when the frontier fort was established on Christmas Day 1817 by General William Bradford. When a new fort was constructed in 1838, the post cemetery was expanded. Although the fort was abandoned at the beginning of the Civil War, it was soon occupied by a Confederate garrison. During their time there, nearly 400 soldiers were killed and buried. 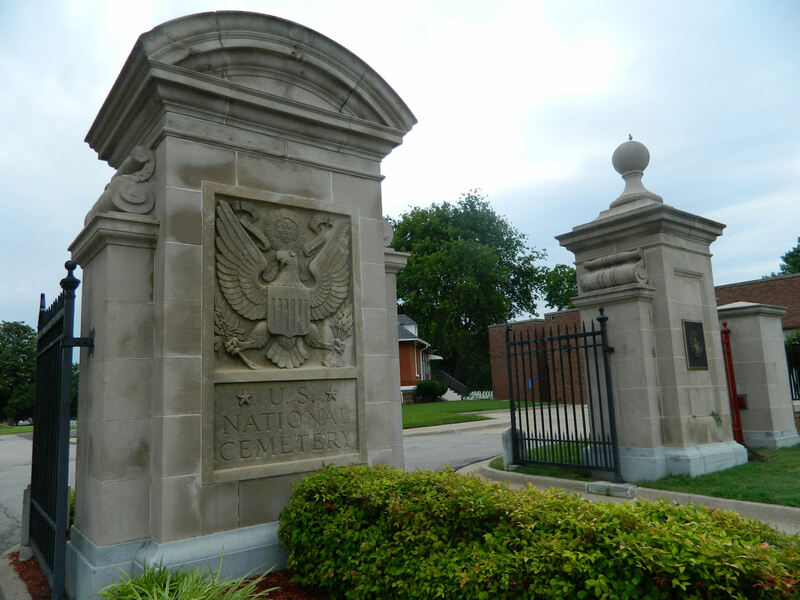 Union forces retook the fort in September 1863 and in 1867, the cemetery became an official National Cemetery. At that time, remains from several nearby battlefield cemeteries were taken and re-interred in Fort Smith. Notable Civil War skirmishes near the area included the Battle of Pea Ridge, which was fought March 6-8, 1862. Although the Confederate army outnumbered the Union soldiers during the battle, the Union managed to hold off the attack and drive the Confederate force off the field, eventually leading to control of Missouri and northern Arkansas by the Union. The Battle of Prairie Grove was a hard fought stalemate in December of the same year. Two Confederate Brigadier Generals who died in these battles were laid to rest in the Fort Smith cemetery. There are currently more than 13,000 internments at the cemetery, which encompasses over 32 acres. These include 928 union unknown soldiers and 475 confederate unknowns. There are also 5 mass graves for those who did not have full sets of remains (probably due to cannonball explosions). Interestingly, the graves aren’t separated into areas for the union or for the confederate soldiers. 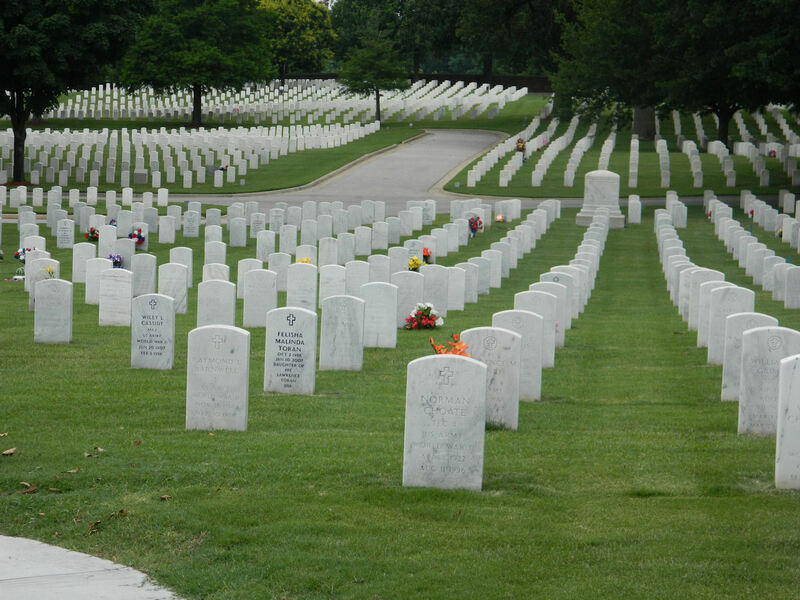 But it’s easy to pick out which side the deceased fought on. 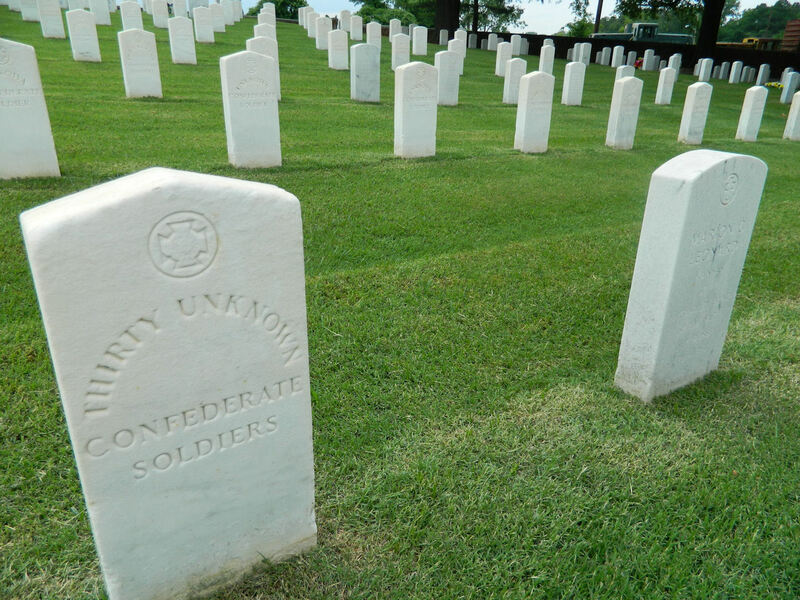 All the union tombstones are rounded/squared on top, whereas the confederate ones come to a point. A long-told rumor explains this difference, although it has never been officially acknowledged as truth. It states that when the cemetery earned its “National” designation, it was decided that the wooden tombstones that had been used would need to be replaced by 6 x 6 granite squares. But because the Army, and therefore the union, would be in control of the cemetery, those who had fought on the confederate side were worried that headstones for their fallen brethren might be used to rest upon by the soldiers in charge of the site’s upkeep. So their tombstones were given a pointy top to keep people from sitting on them! “Some cemeteries segregate the two types of soldiers but ours are mingled in together. This wasn’t specifically a battlefield-type cemetery, so people were buried as soon as remains were recovered and in no particular order,” said cemetery director Craig Lachance, during an interview we conducted in his office that looks out onto the grounds. “As for that story as to why the confederate headstones are pointy, that is strictly a legend. Whether it’s true or not, we don’t actually know,” he laughed. Visitors to the large cemetery can grab a free guide to a walking tour of the area, complete with interesting factoids about some of the “residents” there, including the founder of Fort Smith, Major William Bradford, and of Cromwell Swift, who entered the army as a drummer when he was only 12-years-old and who later became a union soldier. Also, the Union veteran Calvin Whitson is buried there. During the war, he received several wounds including the loss of one eye. Because of his “crusty character,” ever-present eye patch, and later work as a U.S. Deputy Marshal, he is thought to be the basis for the “Rooster Cogburn” character in the original True Grit book. 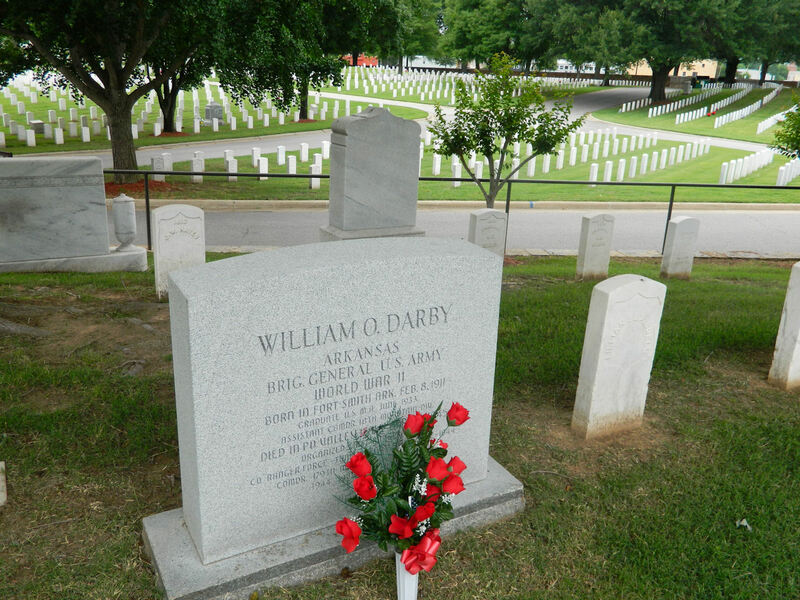 Non-Civil War notables at the Cemetery include Fort Smith native Brigadier General William O. Darby (who led “Darby’s Rangers” during World War II) and the area’s infamous hanging judge, Isaac C. Parker. – Judge Jim Spears during a re-dedication ceremony on April 2, 1996.